Chesapeake Bay Retriever Pups! - Find pets for sale on PetsBoom.com | Global free classified ads. 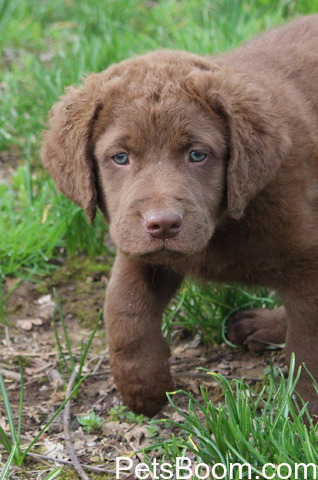 » Chesapeake Bay Retriever Pups! 850 US $ Chesapeake Bay Retriever Pups! AKC Chesapeake Bay Retriever Puppies. Up to date on vaccinations, dewormings and examined by a veterinarian. Ready for pickup. Call 304-579-9935 or email Whistlingdixieslady@gmail.com for more info, pictures or a visit!